Did Charles not know his Wesleyan theology? Would we argue that Charles Wesley had bad atonement theology? I take it that many contemporary Christians and theologians resist the idea that Jesus’ death on the cross satisfied or turned back the wrath of God. It is not uncommon for this to be represented as something that neo-Calvinists or Baptists might say, but not we grace-oriented Methodists. 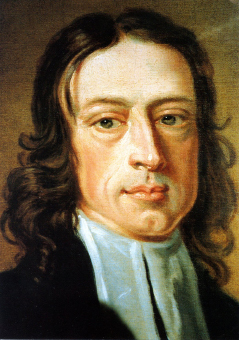 If so, have we written Charles Wesley out of our camp? I guess in one sense we have. Here are a couple verses from two of his hymns that are not in our hymnal. Jesus speaks, and pleads His blood! I’ve not done a systematic study of Charles Wesley hymns. These were the first two I looked at when doing something else, and I was struck by the selection, which in both cases, dropped this kind of language. Could it be that Methodists think we reject a satisfaction model of atonement because we have purposely edited out such views from our own sung theology? I understand that there are various ways of comprehending the atonement. When, though, did we decide that Charles Wesley did not understand Wesleyan theology? This has always struck me as one recent song that sings like the old, theologically robust hymns of Watts and Wesley. It was interesting to learn, then, about the decision by the Presbyterian Church USA to not include it in its new hymnal because the authors of the hymn would not consent to a wording change. We had voted for a song from the contemporary Christian canon, Keith Getty and Stuart Townend’s “In Christ Alone.” The text agreed upon was one we had found by studying materials in other recently published hymnals. Its second stanza contained the lines, “Till on that cross as Jesus died / the love of God was magnified.” In the process of clearing copyrights for the hymnal we discovered that this version of the text would not be approved by the authors, as it was considered too great a departure from their original words: “as Jesus died / the wrath of God was satisfied.” We were faced, then, with a choice: to include the hymn with the authors’ original language or to remove it from our list.